Listen up! This load-bearing Fighting Vest is current-issue, as seen worn by British troops on desert duty. Manufactured by legendary British maker Osprey. 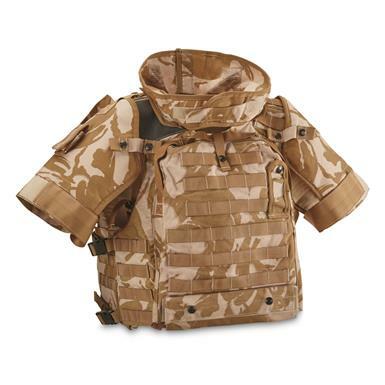 Add your own armor plates, or use this Vest for keeping your gear evenly distributed and in easy reach. 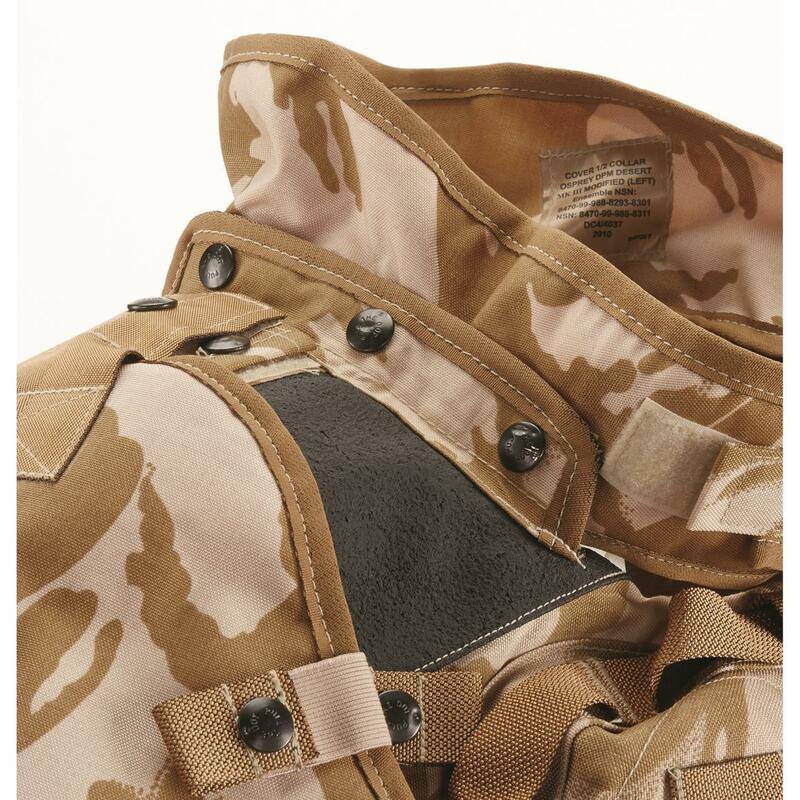 MOLLE-compatable webbing throughout gives you lots of options. Adjustable buckles and hook-and-loop closures on the sides let you get the perfect fit. British Military Surplus Plate Carrier Vest, New is rated 4.6 out of 5 by 7. 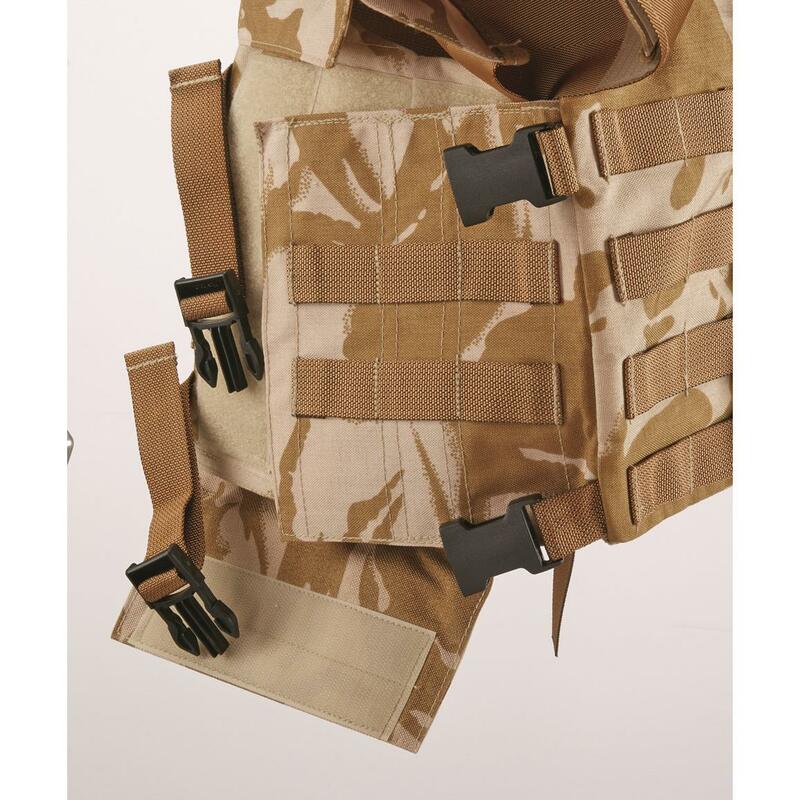 Rated 5 out of 5 by Tim in Az from Plate carrier for great price I just got this, was brand new as stated. I got the XL and is a little tight on me being a big man. You have front and back plate carriers, I ordered the wrong size for it from AR500. But it worked out for another old vest. I think I'm going to order 14in long by 12 in wide curved for front, and flat for the back. Lots of Mollie gear points on it. The plates will be a tight fit in it. The neck and shoulder things are not padded, just extra camo or for Spalding protectors .lots of snaps and buckes to attach items. A little hard to put on by yourself if a big guy, better to do with some help. A smaller person can just drop over there head. Rated 5 out of 5 by 1Defender from Jump on this ! Nice "rig" for the money. Seem's very well made and thought out. Very different set up from my U.S. vest but has the molle webbing just the same. I like having the additional neck and shoulder/neck protection. Now the search for matching pouches, hydration and b.d.u's . I would recommend this vest to a friend and have .